Sarah Jane Hannon is the Offer Management Director for the Personal Power and Management Software portfolios for the Home and Business Networks division of APC by Schneider Electric. Her portfolio includes APC Back-UPS and Surge Protectors, PowerChute Software, Network Management Cards and new cloud management solutions for APC Smart-UPS. For every product, she remains focussed on developing the best possible solution to solve real customer problems, exceed their requirements and create delighted customers who have a positive user experience with APC by Schneider Electric. Sarah Jane joined APC by Schneider Electric in 2007 and prior to that held product management and strategic planning roles in the telecommunications industry. 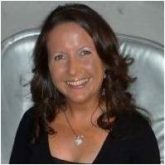 Based in Ireland, Sarah Jane holds a Bachelors Degree in Business and French from the University of Limerick and a Masters in Marketing Management from University College Dublin. She completed a Diploma in Strategy and Innovation with the Irish Management Institute in 2012. Sign up for Channel News.